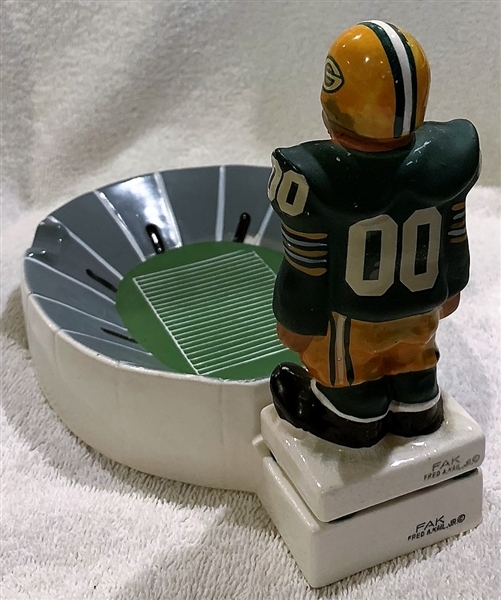 Here's an amazing piece from the Fred Kail NFL series of the early 60's. 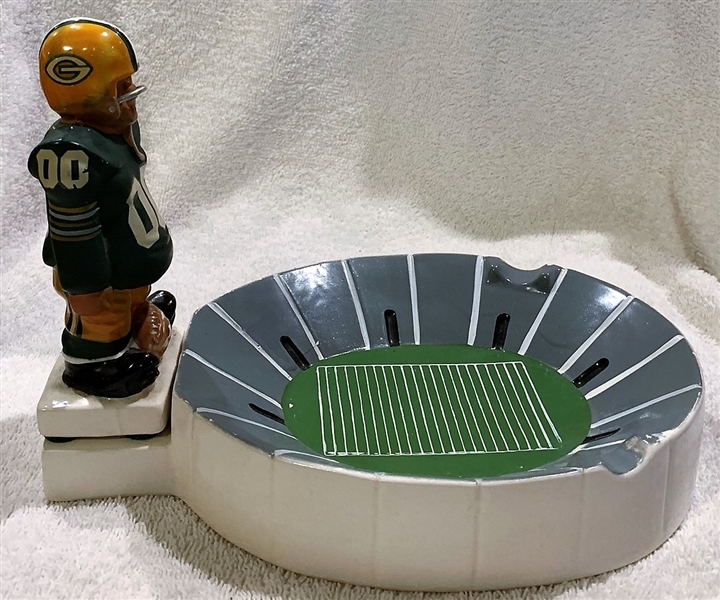 It's of the Green bay packers. 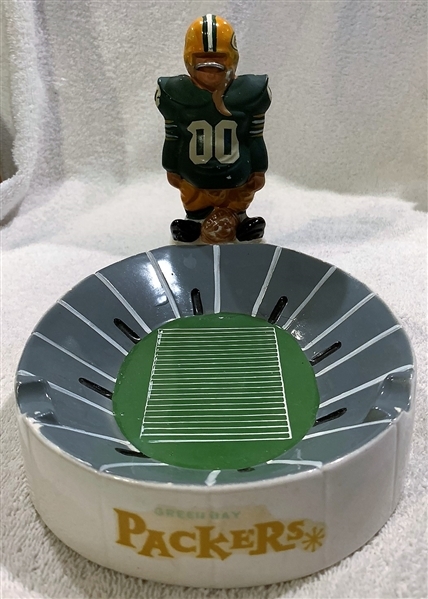 A statue of a Packers player stands on the end of the ash tray which is in the shape of a football stadium. There's some minor paint wear and the cork under the player is missing- but it stands perfectly on its own.